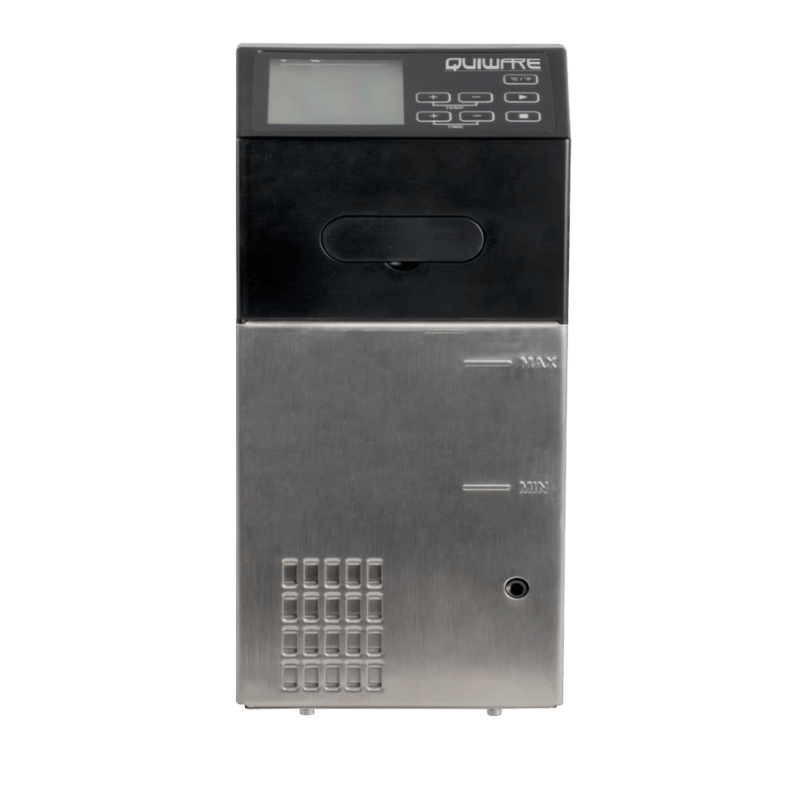 The Quiware Le Vid Immersion Circulator is the perfect choice for sous vide cooking. The ultimate in tenderizing and temperature control, our immersion circulator simplifies cooking. Home chefs simply set the desired time and temperature of their circulator, submerge the food, and then walk away. The Le Vid operates at a whisper quiet level, so you can work in the kitchen without being disturbed. The Le Vid Sous Vide thermal circulator uses a professional grade pump to circulate the water, providing consistent cooking temperatures resulting in uniform, perfect texture and superior flavor. With sous vide cooking, your food will always be cooked evenly throughout, no overcooked meals. Sous vide cooking is also a healthier option, locking in nutrients and moisture. A user-friendly design makes the Le Vid a great choice for the first time user, and its commercial-grade strength makes it just as appealing for the professional chef. Circulation Pump: Powerful 1500 watts, the Le Vid is able to heat water to desired temperature quickly. Pump operates at a quiet noise level. Temperature Range: 25℃ to 99℃, level of accuracy ±.05℃. Can also switch to Fahrenheit easily. Water Level Sensor: Water levels are clearly marked with Min and Max. Le Vid will automatically shut off if water level gets below Min.